Whether you love skiing or not, on a winter sports holiday you sometimes feel like doing a different sport or leisure activity. In Arc 1950, Le Village the choice is vast ! You'll live unique experiences with the entertainment proposed in Arc 1950 Le Villege. 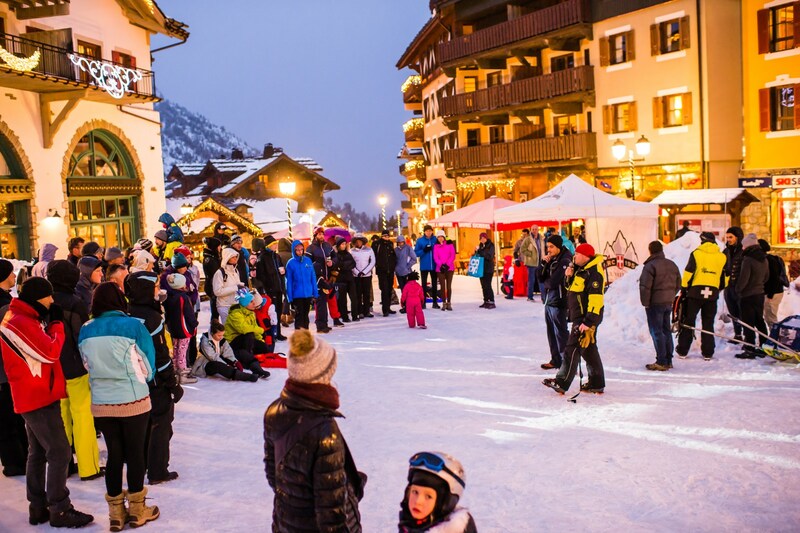 There is something for every taste here: ski joëring, marshmallows party, sled dog shows, concerts, poker, cinema, Ice carving, lantern walks through the village and many other surprises! Find more information in the entertainment programme. Wellness areas with swimming pool, sauna, Turkish bath and Jacuzzi are accessible from every residence. There are usualy free aquagym sessions in those areas for Arc 1950's customers. As well as these amenities that you can use as often as you want, the Deep Nature Spa Arc 1950 has a pool and a treatment area. If you love hiking and fresh air, you’ll love snowshoeing. 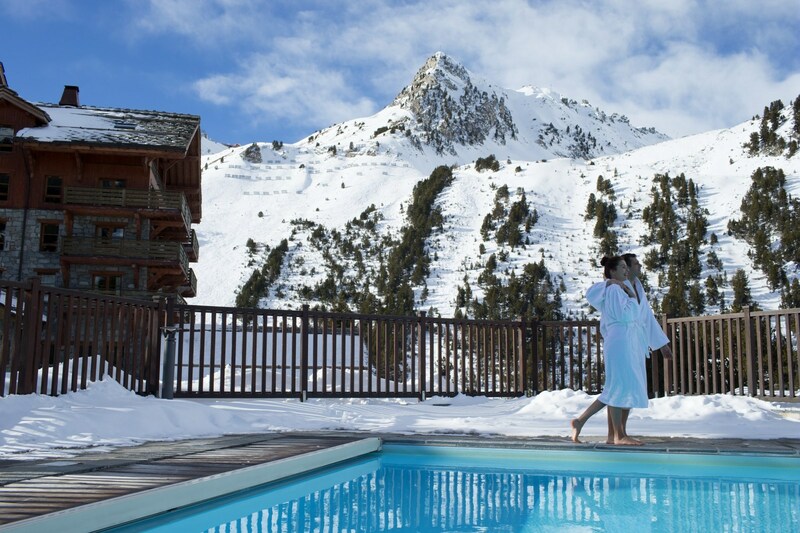 With its ideal location between forests and mountain peaks, Arc 1950 Le Village is an ideal site to try snowshoeing. Half-day outings with a mountain guide can be sporty or more relaxing. If you want to have a really fun time with your friends, you have to try Snakegliss. Identical toboggans are attached to each other to make a train that will be driven and supervised by a specialist. 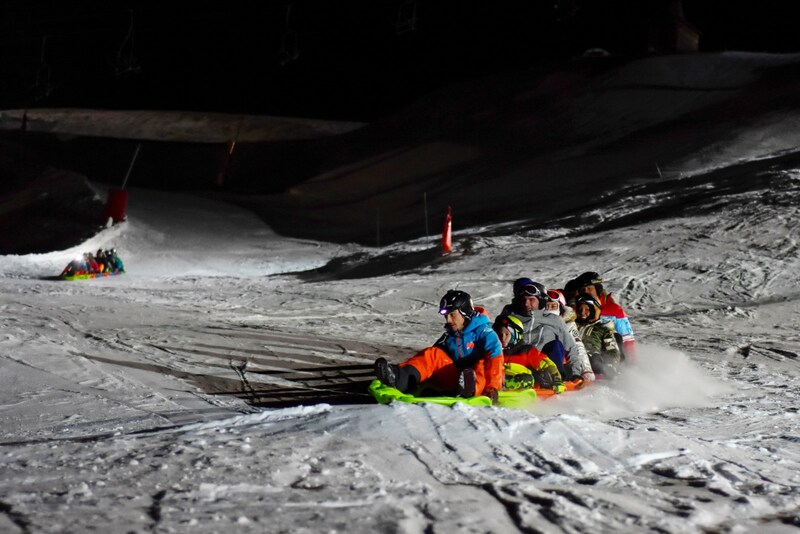 You go down the slopes with the driver adapting the speed and trajectory according to what the group wants.